I often participate in Bloggers Unite events. Generally, there is a lot of lead time until the official “Blog for a cause” date. I commend the organizers at Bloggers Unite for putting this one together quickly to coincide with the one-week anniversary of the earthquake in Haiti. 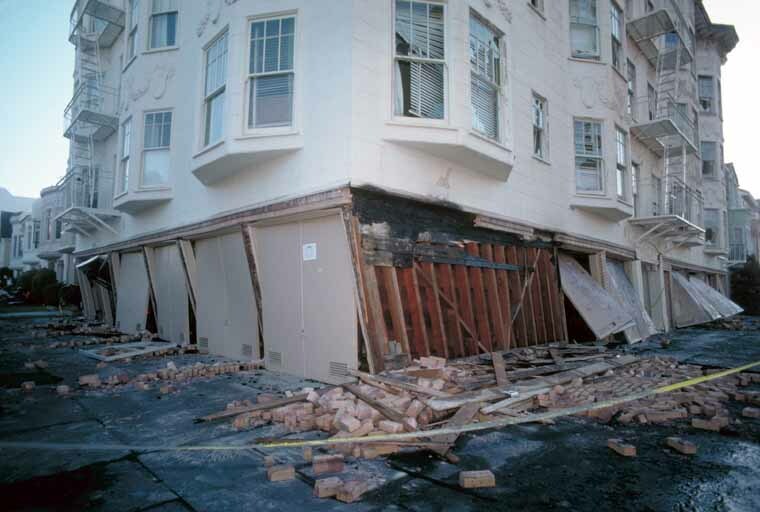 I was on hand for one of the largest California earthquakes in recent memory, the Loma Prieta Earthquake in San Francisco, also known as “The Quake of ’89”. Just recently, at a holiday event, my dinner-mates were astounded to realize that half the people at our 10-person table had been in the San Francisco Bay Area during that quake. It’s amazing to think it’s been 20 years already! My family home had large cracks in it from the quake, and my mother had to have it retro-fitted. The religious institution our family belonged to suffered irreparable damage to its brick structure. Sixteen years later, the building still hadn’t been rebuilt, and it was too dangerous to occupy. The custodians realized they would not have enough money to save the building; my mother (now deceased) would have been sad to know that. All of that, of course, is nothing to what has happened to Haiti. That country did not have anywhere near the infrastructure or building codes we had in California. It has been reported that 300,000 people are homeless. A friend of mine who was stationed in the military there says that the tent cities some governments are setting up would actually be a step up for many of them. Like many of you, I’ve been wondering what I can do to help. Sometimes, we as individuals feel very small and insignificant at times like these. What can one person do? I began to hear that many millions have been raised through mobile phone text donations. I think this is an amazing thing. Many people who either wouldn’t take the trouble to mail in a donation, or might feel that their small donation wouldn’t really make a difference, are texting $10 to the relief effort, and finding their donations adding up to millions. This is a relatively painless way to really help. I have made a donation to my local Red Cross, which has designated funds to go directly to help. This is easy to do, too. Your local Red Cross and/or Red Crescent can be found here. Two businesses I work for have ordered promotional merchandise from Cafe Press, and they are helping, too. I bought one of these T-shirts; looking forward to receiving it. 100% of the retail price goes to Unicef for Haiti. I’d like to close with a letter written by Debbie Ford, a motivational speaker and teacher. I’m not much for prayer, and this is quite sentimental, but it touched my heart. Perhaps it will do yours. Thank you for sharing your heart with me and the people of Haiti today. Our hearts are aching for you. To you who are suffering, without food, water, medical care, a place to sleep, or a friend to hold your hand, we pray you will be saved soon. To you who are trapped inside the rubble with no one there to lift you out or are searching for your family and friends, to you who are sitting on the side of the street with the body of a dead relative close by, we pray you will be saved soon. We want you to know that we care, that we wish we had the wherewithal to help you. We wish that we were closer and could rub your head or lift the concrete off your loved ones. We wish that we could wind back time and give you back life as you knew it before the devastating earthquake. We have no doubt that you will gather together and find the strength and the courage to heal and rebuild your future but until that time, we want you to know that we are holding you and that although we have never met and can’t really feel your pain or share your heartache, we are praying for you day and night, asking that our blessings become your blessings. We wish you the faith and strength to hold on one more day. Help is coming and we are all here loving you, standing in awe of your courage. I had a wonderful time on New Year’s Day. I went hiking, as is my custom, and my companion and I saw some wonderful ruins of an old Native American tribe, the Hohokam, and of an old plantation ranch house which co-occupied the land. Both groups were subject to raid by the Apaches, and the land has been long abandoned, but fortunately preserved. Day TWELVE: The Quality of Forgiveness; the Gift of Renewal. Oh, my Forgiveness. The designers of the series would wait until the last day for that one! 😉 I think they knew what they were doing, though, because, honestly, the last eleven days of contemplation have prepared me for this. I am finally, finally, able to let go of many of the “grudges” I’ve held for years. I realize that everyone, always, is doing the best they can, with the resources they have. There are no excuses, only letting go. The gift of Renewal, then, is one I can actually accept! I do feel renewed today, even though “New Year’s Day” is just, in many ways, another day on the calendar; it’s only turning over a new page. I believe we can make our own rituals, and they can be as meaningful, or not, as we choose. On New Year’s Eve, I usually attend a “Burning Bowl” celebration in which we symbolically (and literally) “burn” what we want to let go of from the previous year. We write it down, and then, one-by-one, we cast our papers into the fire! Very dramatic! Then, we get to write down what we DO want in our lives during the next year. We seal it up in an envelope, and those are mailed to us mid-year so we can see how we’re doing. I like that part. There’s music, and mediation, and readings as well. I was particularly moved by one of the readings at the event, so I thought I’d share the poem with you. It expresses, beautifully, how I experience life. Enjoy, and the best to you in 2010!!! And I am one day old.